Here is the latest video on the new Abarth 595 '50th Anniversary' model that was unveiled at the Frankfurt Auto Show back in September this year. 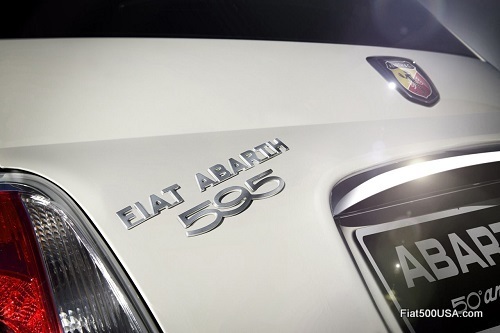 The Abarth 595 '50th Anniversary' celebrates the original Abarth 595 that debuted 50 years ago on September 15, 1963. 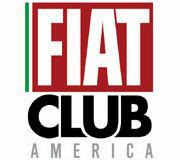 That Fiat Abarth 595 took the normal Fiat 500 to an extreme level, doubling the horsepower of the standard car with the elaborate engine modifications that Abarth is famous for. 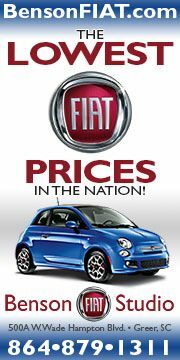 Abarth also modified the trim of the car and the 595 quickly became a status symbol for those who love to drive quick and agile small cars. The new car follows in those footsteps quite well. 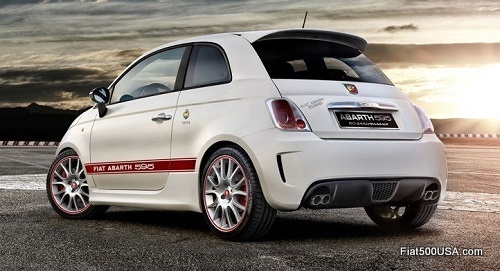 With a 180 HP 1.4 T-Jet engine that is more than double that of the base 500's 69 hp and trim that stands out from even the already hot looking standard Abarth's, the '50th Anniversary' model is a fitting tribute to the original. 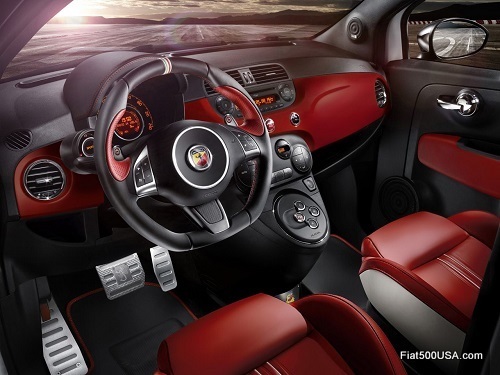 The Abarth 595 '50th Anniversary' edition uses the Magneti Marelli Record Monza variable back-pressure "dual mode" exhaust that has a valve that opens the exhaust at engine speeds over 3,000 rpm, improving engine performance and giving the car a wicked sound. An Abarth Competizione gearbox is used in the 595 '50th Anniversary'. This is an automated manual gearbox that can shift by itself or shifted manually via the paddle shifters on either side of the steering wheel. The first appearance of the Abarth Competizione gearbox was in 1949 when one of Carlo Abarth's first performance products offered was a competition gearbox with steering wheel controls for the Fiat Topolino. 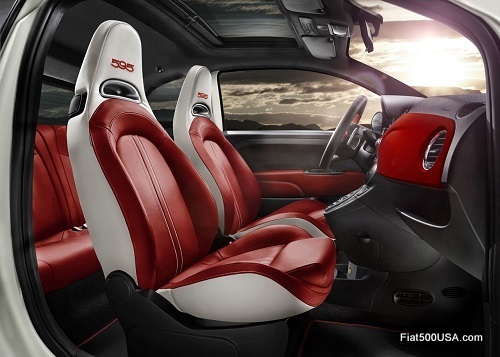 White seats with red leather seating surfaces and 595 emblazoned into the headrests show off the unique interior of the new car. Red dashboard counterpoints the white exterior. 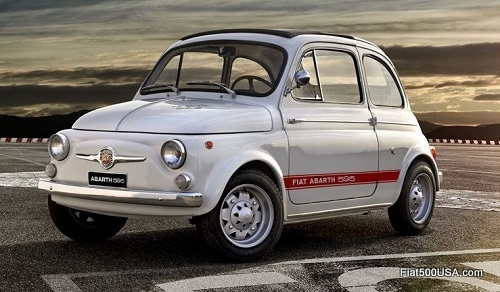 The inspiration for the Abarth 595 '50th Anniversary' edition is the original 595 from 1963. 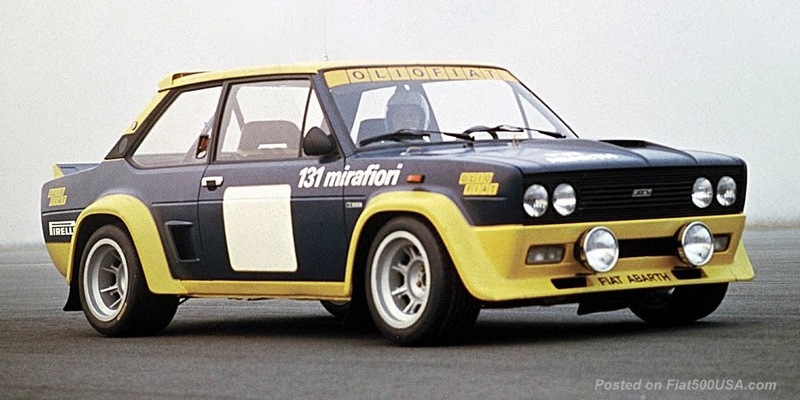 Abarth worked their magic and increased the displacement of the standard Fiat 500 from 499.5 cc to 595 cc and the power went to 27 HP, more than doubling the stock car's. 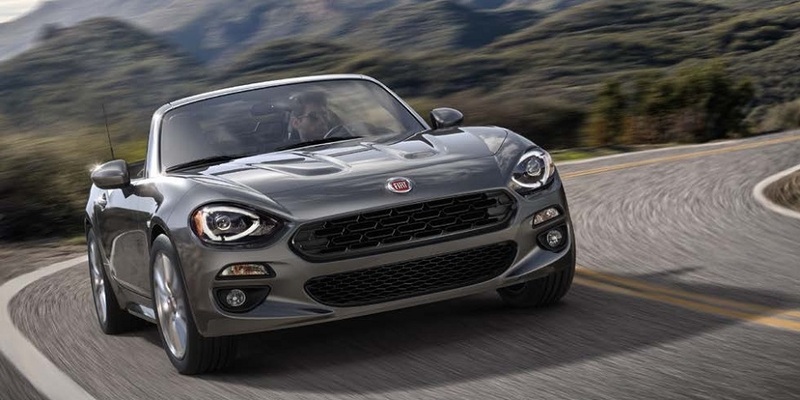 Along with the substantial performance increase, Abarth wanted to make sure everyone knew this was one hot car, so he added a special grille, badging and offered a host of accessories so you could personalize the car the way you wanted to. 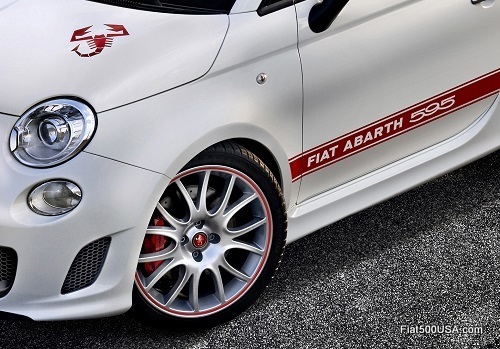 Ever wonder why your new Abarth has badges on the sides? It's called heritage! 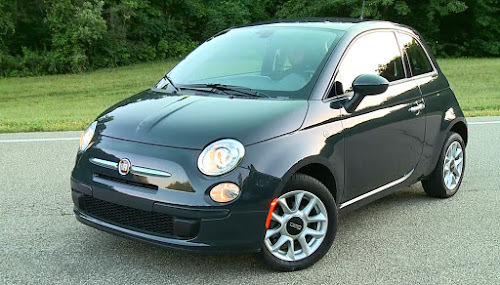 Or as Abarth says the car "looks to the future without betraying its past." Xenon headlights, Brembo 4 piston caliper brakes, 17 inch Magnesium Grey wheels with red liners and special badges and stripes complete the package. 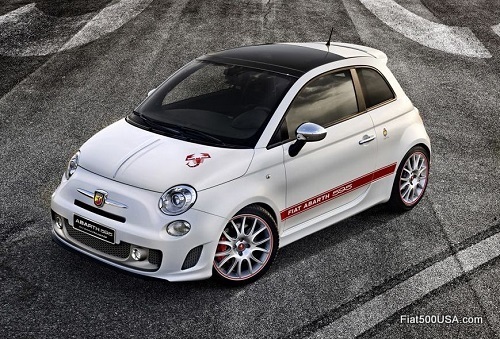 Only 299 of the Abarth 595 '50th Anniversary' will be made and, like all Abarth special editions, expect the model to be quickly sold out. 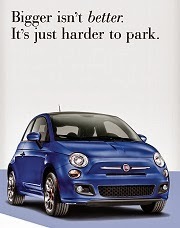 Abarth is also starting a promotional campaign celebrating the 50th anniversary of the 595. A digital rally is planned, along with videos, and a phone app that looks like fun. Keep your eye out for these. 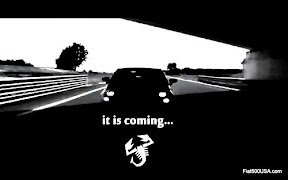 Update: Go here to get the Abarth Sound System Phone App! Nice to see a modern touch on an old classic!